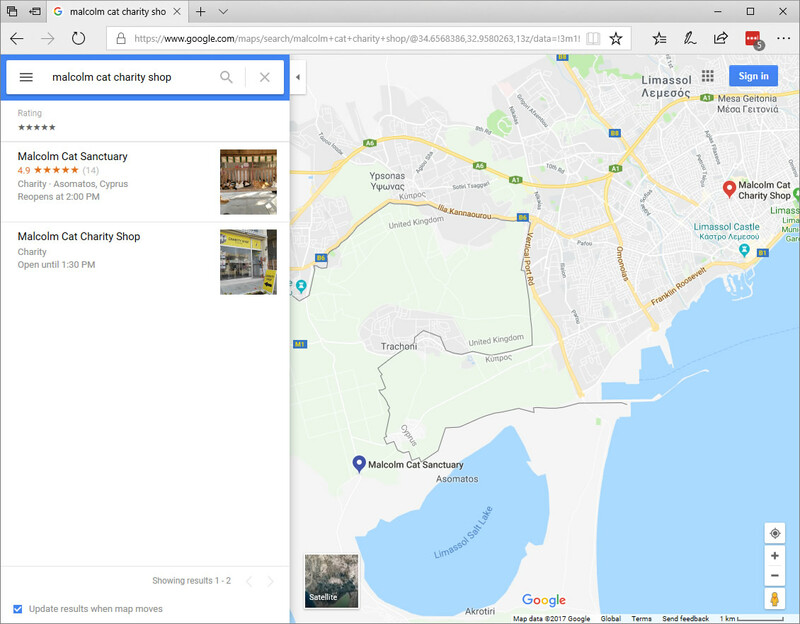 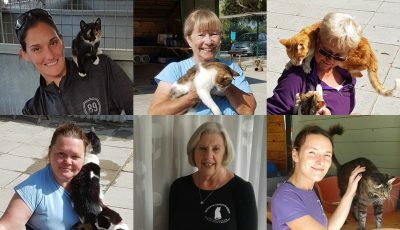 Never get lost looking for the Malcolm Cat Charity Shop in Limassol – just Google it! 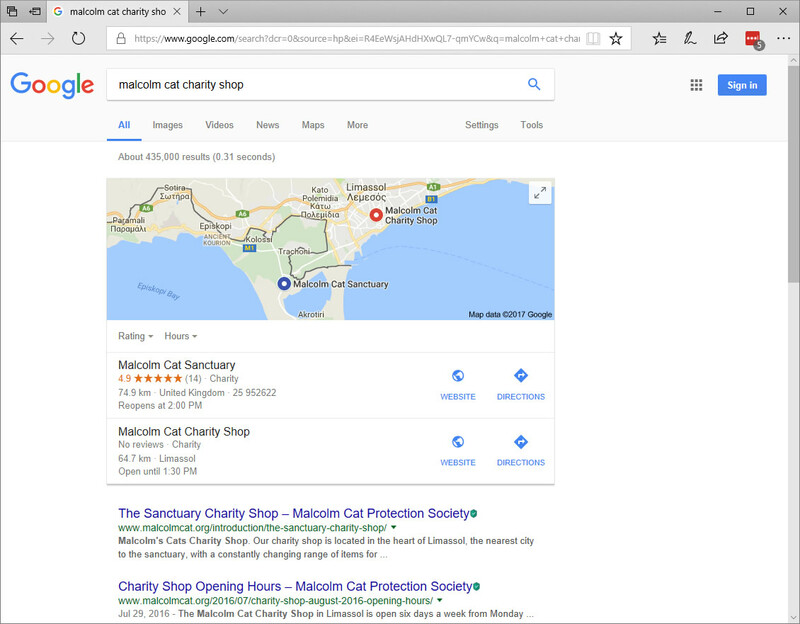 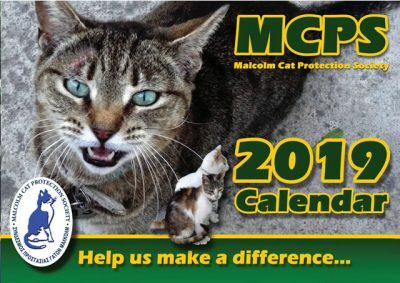 On your phone or on your computer, just search for Malcolm Cat charity shop and Google will give you a map and even directions! 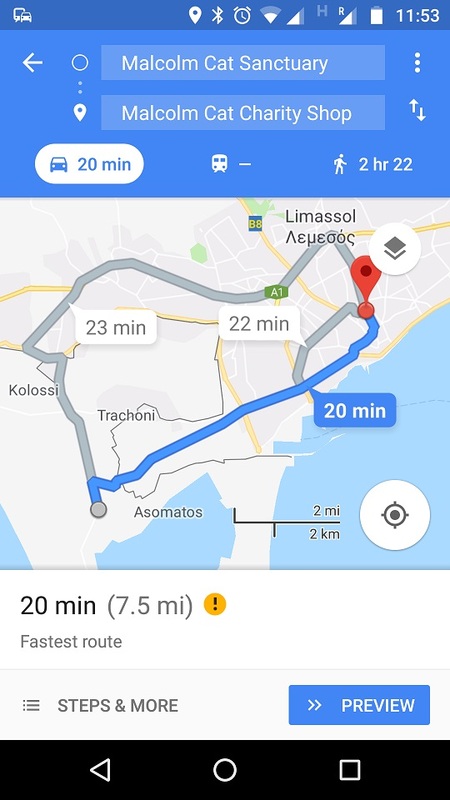 So fire up your GPS, put your skates on and visit downtown Limassol for some purrfect gifts from the MCPS charity shop!